It was revealed that Jessica is 24… thousand? Shes been living in the current world as it is for 10 years since her escape from a supertanker that was part of a dastardly organisation to gather anti-super weapons to protect the human race from the inevitable threat of supers, she escaped - burning the "Burnt-Man" body guard (he's a pretty big guy but looks otherwise normal) and caused a near-total paraplegic state to the "Wheel-Man" - leader of the organisation. 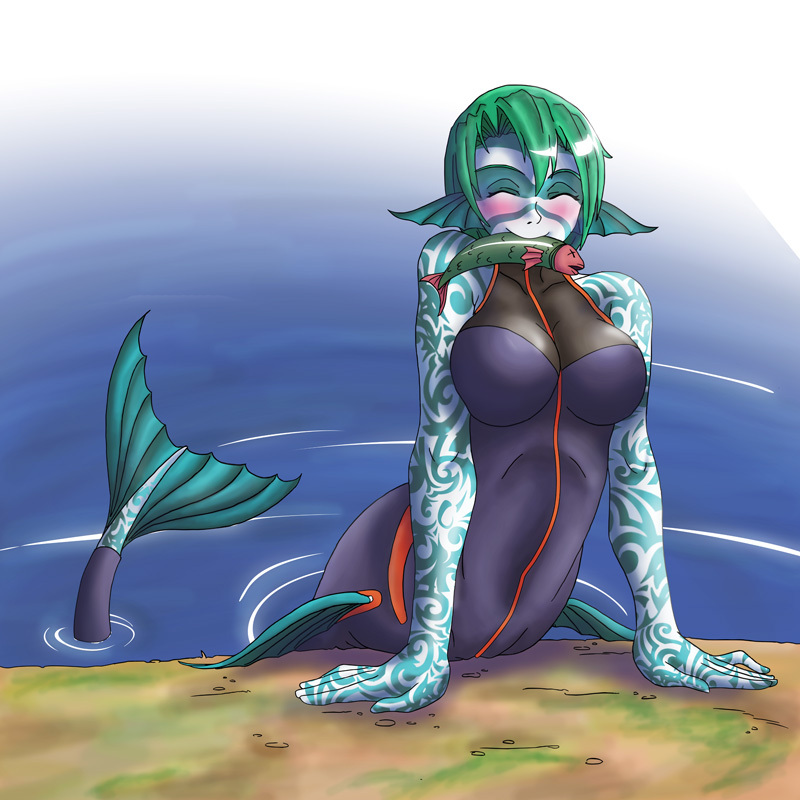 Going further back in time, prior to being discovered under Antartica, she was frozen when humans still walked the earth in tribes and the civilizations beneath the waves were still thriving. This could be estimated to 13,000 when both Antartica and Atlantis along with every 'advanced' civilization were simultaneously wiped out. Though she hasn't gone into great detail of the 14 years she lived prior to being frozen, she puts out that she was 'special' - perhaps reffering to her ability to take human form and use waters currents and freeze water at will, having failed to 'protect' the city - but if history is correct the civilizations died from a meteor strike (and the resulting floods), so perhaps very little she could've done. Antlantis was destroyed recently by a smallish yield thermonuclear torpedo (unbeknownst to our heroes - except Sentinel) when Druid caused a 'Code 3' by destroying nearly an entire Battalon of men with a massive lightning surge of magic. The Anti-Super Organisation itself's emblem is a black shield on a yellow circle and appears to not only have a heavy military backing but appears to encompass multiple countries and even special forces units. Pictures are ripped and photoshopped merely to demonstrate size. Slightly misleading to some degree. From Huge onwards (though huge would be hard), she can actually eat a human-sized object. At Awesome people are more like ants and shes capable of eating a small van or speedboat with no problem. Many logs not counted with pp - possibly count later with recaps. Also +40 pp from 12 hour event.